A sweeping look at the lives and work of two important English Romantic painters, from a Los Angeles Times Book Prize–winning author. 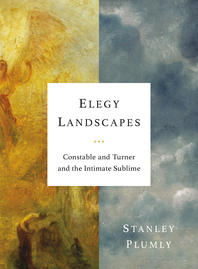 Renowned poet Stanley Plumly, who has been praised for his “obsessive, intricate, intimate and brilliant” (Washington Post) nonfiction, explores immortality in art through the work of two impressive landscape artists: John Constable and J.M.W. Turner. How is it that this disparate pair will come to be regarded as Britain’s supreme landscape painters, precursors to Impressionism and Modernism? How did each painter’s life influence his work? Almost exact contemporaries, both legendary artists experience a life-changing tragedy—for Constable it is the long illness and death of his wife; for Turner, the death of his singular parent and supporter, his father. Their work will take on new power thereafter: Constable, his Hampstead cloud studies; Turner, his Venetian watercolors and oils. Seeking the transcendent aesthetic awe of the sublime and reeling from their personal anguish, these talented painters portrayed the terrible beauty of the natural world from an intimate, close-up perspective. Plumly studies the paintings against the pull of the artists’ lives, probing how each finds the sublime in different, though inherently connected, worlds. At once a meditation on the difficulties in achieving truly immortal works of art and an exploration of the relationship between artist and artwork, Elegy Landscapes takes a wide-angle look at the philosophy of the sublime.